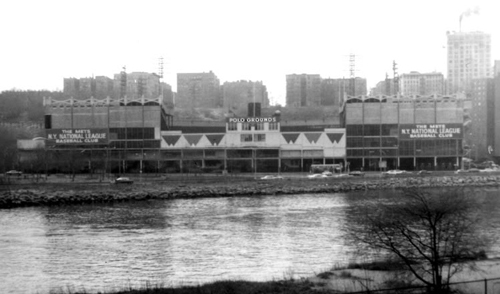 While somewhat awkwardly laid out for baseball, the various incarnations of the Polo Grounds were well-suited for football, and hundreds of football games were played there over the years. Yale played football in the original 110th Street Polo Grounds in the 19th century, for some games which were expected to draw large crowds, including the Thanksgiving contests in 1883 and 1887. 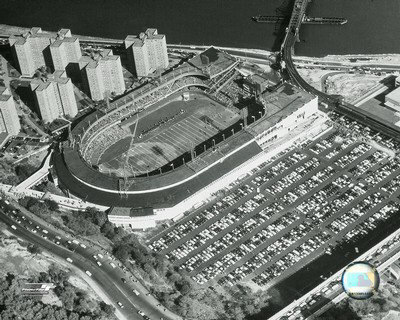 In the 20th century, both the New York Giants of the National Football League and the New York Jets (then known as the Titans) of the American Football League used the Polo Grounds as their home field before moving on to other sites. The Giants moved initially to Yankee Stadium in 1956 while the Jets, founded in 1960, followed the New York Mets to Shea Stadium in 1964. The grounds were also used for many games by New York-area college football teams such as Fordham and Army. An upset victory by the visiting University of Notre Dame over Army in 1924 led to Grantland Rice's famous article about the Irish backfield, which he called "The Four Horsemen". The field was also the site of several Army�Navy Games in the 1910s and 1920s. The football Giants hosted the 1934, 1938, 1944, and 1946 NFL championship games at the Polo Grounds. 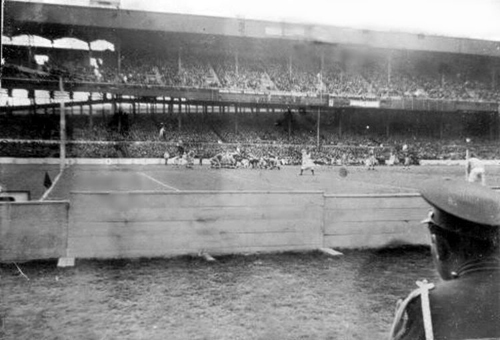 In addition the Boston Redskins moved the 1936 game from Boston to the Polo Grounds, as part of their transition in relocating to Washington.